This week, the Yeehaw movement persisted. 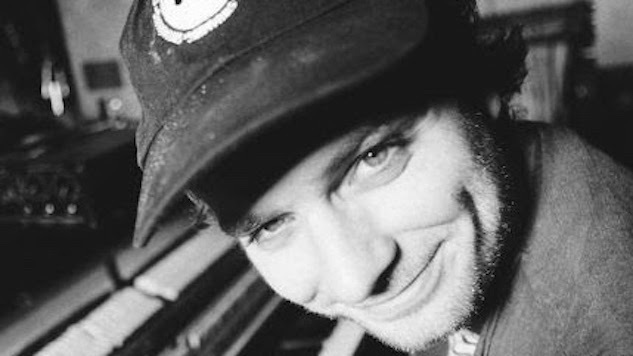 On Monday, Mac DeMarco appeared at Jenny Lewis’ celeb-heavy On The Line shindig in full cowboy attire, only to announce a new album titled Here Comes The Cowboy two days later. He also shared a characteristically chilled-out single called “Nobody” (If you were wondering, Mitski isn’t mad), and its weird-as-hell accompanying music video, in which DeMarco moonlights as a man-lizard-cowboy hybrid. But we liked the song, just one of many great ones (by Bedouine, Kate Teague, Laura Stevenson and more) released this week. In other news, The Black Keys are back, and Vampire Weekend shared the next two singles from Father of The Bride, plus its curiously simplistic cover art. We also rounded up our favorite female friendships in music, just in time for International Women’s Day. You can dig into all the week’s new music and stories below—we hope it’s the yee to your haw. The most overwhelming, exciting, hectic week of the year is nearly upon us, which means more than 300,000 musicians, thinkers, artists, comedians and creative types of all stripes will soon flock to Austin, Texas for 10 days of music, panels, film and breakfast tacos. South By Southwest is the annual convergence of artists and industry folks that takes over Austin, and this year’s festival kicks off Friday, March 8, and continues on through Sunday, March 17. If you can’t make it to Texas this year, don’t fret: Paste will be there amid all the Lone Star consumption and 70-degree temperatures covering the action. We’re also relocating our NYC studio setup for the week to the Riverview Bungalow, where we’ll be live-streaming artist sessions straight to you from Austin. Subscribe to our YouTube channel and check back daily for all the best of SXSW 2019. In addition to our live sessions, we’ll be scouring the artist showcases in search of great new music. Below, we’ve rounded up 20 of the many, many artists (listed in alphabetical order) we’re excited to see at this year’s SXSW. Carve out an hour or two and check them out—you might even find your new favorite band.